Set includes our versatile Booty Cover! 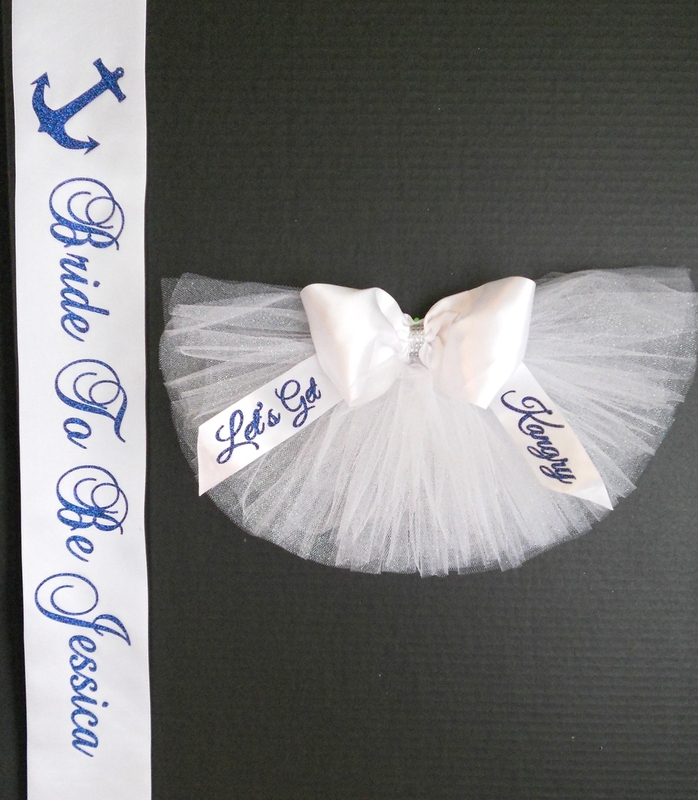 and coordinating Sash. 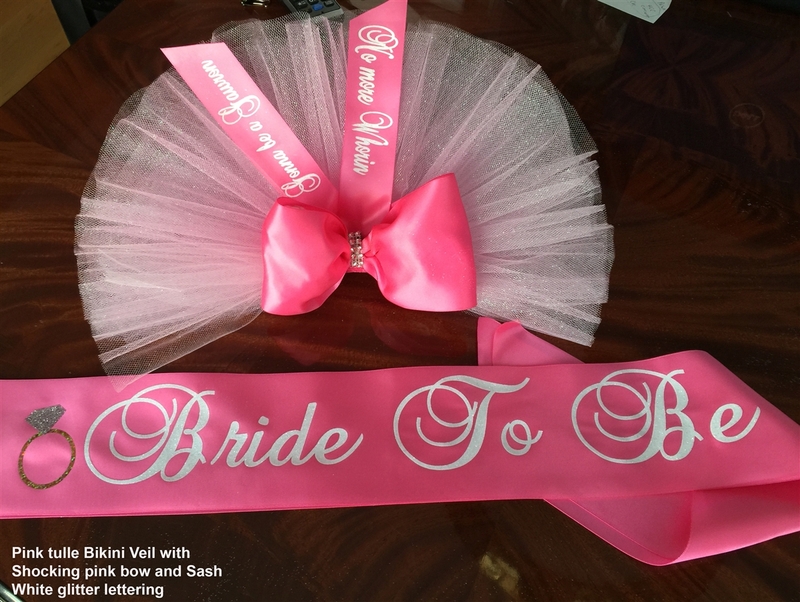 Our Beautiful Sash is 4" satin. 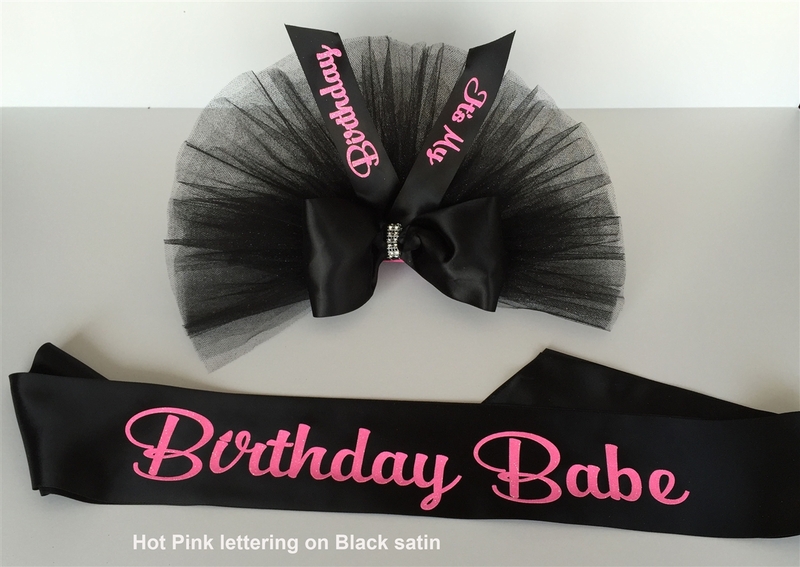 It includes FREE Personalization in your choice of colors. Our versatile Booty Cover can be worn on anything with a waistband including your skirt, shorts, bikini or jeans! 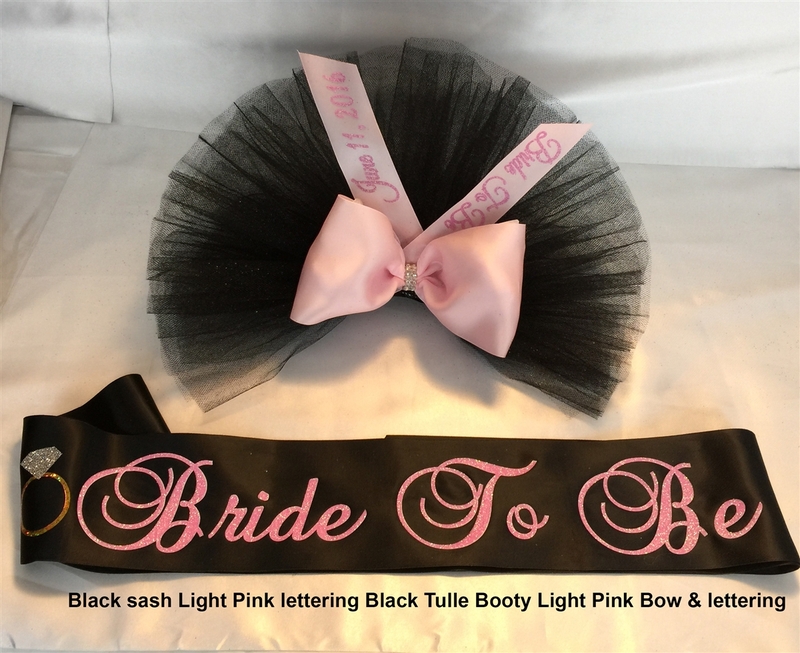 Dazzle your audience with an eye-catching, glistening Personalized Booty Cover for the Diva to wear at her Birthday Party, Strolling down the strip, Bachelorette Party, Bridal Shower, Post Wedding, Honeymoon, Birthday or Holiday celebration! Our Booty Cover is filled with flirtatious femininity. It’s slightly edgy yet delicate & sweet. It is made with sparkling tulle, an elegant satin bow embellished with a bling center and includes a FREE PERSONALIZED satin ribbon with any message you want. (Please limit to 25 letters combined both sides of the ribbon). 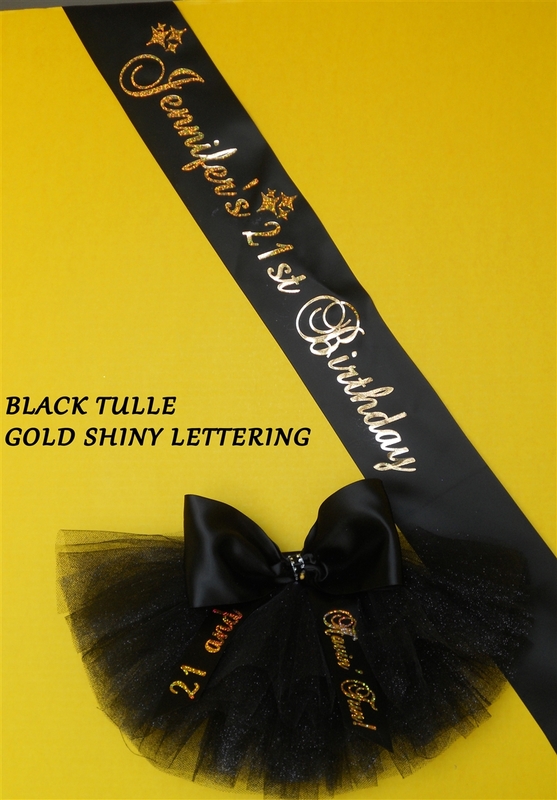 The lettering is professionally crafted in GLITTER and comes in an array of colors. The Booty cover attaches easily. 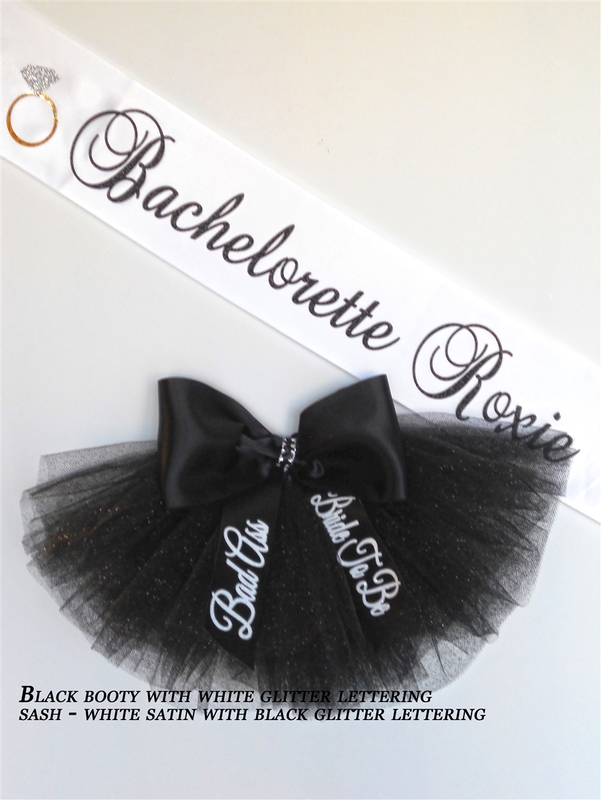 You can wear it by day at the beach or pool side or at night out on the town or to the clubs. Let everyone know it's your special day! A must for Vegas, DR, PR, Bahamas, Miami, EVERYWHERE!